Online stream anime episodes, Watch Naruto Shippuuden Episode 148 English Subbed online and free episodes. Anime Episode guide, Chapter Naruto Shippuuden Episode 148 English Subbed Heir to Darkness The bandits’ leader appears on Mt. Katsurugi and listens in on a conversation between Tonbei, Hotaru, Utakata, and Team 7. 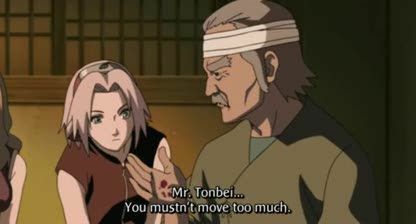 Tonbei suggests that they should remove the Forbidden Jutsu from Hotaru for her safety, but Hotaru suggests searching for Shiranami, another person who could use the jutsu. Naruto leaves to go search for him and it is revealed that the bandit leader is Shiranami. Utakata leaves to speak with Tsurugi, but Tsurugi and the rest of the Anbu encounter a dog with Rinnegan eyes.